Are you excited about your wedding day? After all those years, you are finally going to settle down with the love of your life. In the end, your wedding is a perfect gift for the love, sacrifices, efforts, and late night sorrys you both have endured during the course of your relationship. You may be getting married soon, but amidst all the hullaballoo, take time to realize that your life will be changed for good. These changes might be presumably too meager for you to see. But once you understand what changes when you get married, you will manage them maturely. Marriage, being a colossal event of your life, would change the way you live the rest of your life. From sharing assets to cooking together, a married life shifts your entire focus from enjoying your personal space and a lifestyle to sharing life together. So, without any further ado, let’s go ahead and see what changes when you get married! Gone are the days when you were just a thing. After the wedding, you become a team and none of your friends or families will address you individually. You are no longer "you"; you become a "we". After your wedding, you will find it hard to basically talk just about yourself. Being a newly wed couple may take you on a cliché road, but that’s how it goes. Wedding brings a fair share of many new responsibilities. You may have crossed the first few hurdles, but getting adjusted to the new life can be really daunting. 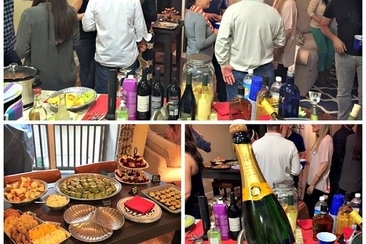 However, after wedding, you really embrace the new lifestyle and feel courageous about the phase. Call it a rush or a new challenge, you and your partner will actually indulge in bigger decisions. Both of you no longer will be two kids in love. While you may feel brave to tackle almost any kind of situation, wedding actually matures you as an individual. You feel responsible for each other and you will be very cautious while taking any decision. Being together with each other in a sacred wedding bond will make you less hasty and you will be sure to indulge into life as it pleases you both. In short, you would no longer be a pre-wedding brat! You become selfless is what changes when you get married – the one major that you were never expecting. You may not notice, but you will start compromising for the love of your life. Your decisions, whether for yourself, your partner or for your families, will be based entirely on a practical logic that will be self-matured. Nothing will be too much or too less for you; you will transfer into a mature individual. A wedding bond is best described when both the partners take pride in each other. It just shows that they are happy to have taken the step to be together for the rest of the life. You will too feel proud of your partner every time he/she achieves something. The accomplishments will no longer be contained to an individual; it will bring both of you equal happiness. Love wouldn’t be limited and both of you will no longer lust to be with each other. The beauty of marriage is that you will love each other beyond any limits. You will let your partner explore your sexuality and vice versa. There will be much more passion than you ever experienced before. You and your partner will respect each other’s body and your sexual life will be healthy, passionate and satisfied. You will share your finances with your partner and you will no longer be reckless with your expenses. Of course, newly wed couples pamper each other and there’s nothing wrong in spoiling your love, you will still take heed of your finances. This inherent change is normal and actually good in long term. It will make you more adept at finances. 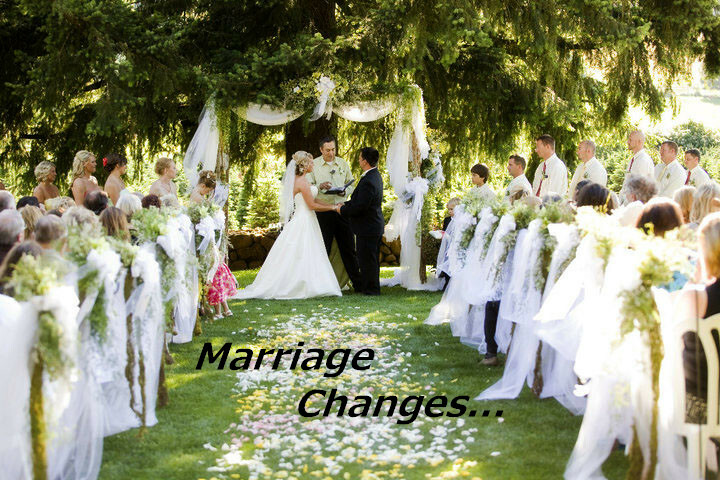 What changes when you get married may be answered different for different couple. Below are some people's opinions. Will you agree with them or have your own idea about it? Looking for nicknames for husband? This article will give you lots of nickname ideas that fit your hubby’s personality to the max! Read on to find one for your love! 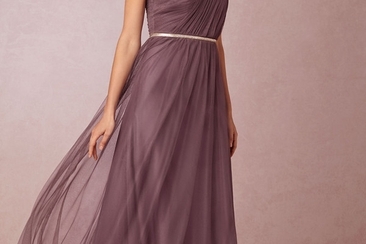 Plum bridesmaid dresses are the best match with a white bridal dress. If you are also looking for a nicely selected range of plum dresses for bridesmaid, this is the right place. 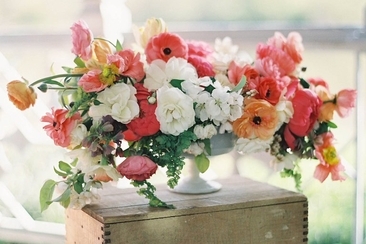 How Much do Flowers for a Wedding Cost? Who doesn’t want a romantic wedding with a stunning bridal bouquet, beautiful floral backdrop and breathtaking centerpieces? But how much do flowers for a wedding cost? Your bridesmaids put all their efforts in making you feel like a princess! 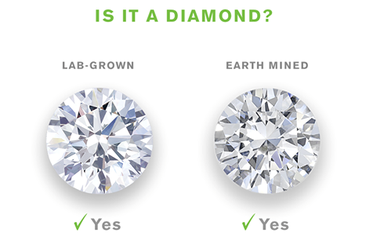 Give them the most precious gift as a token of appreciation. How much to spend on bridesmaid gifts?